comScore helps marketers and media companies through every phase of the advertising life cycle across all platforms. 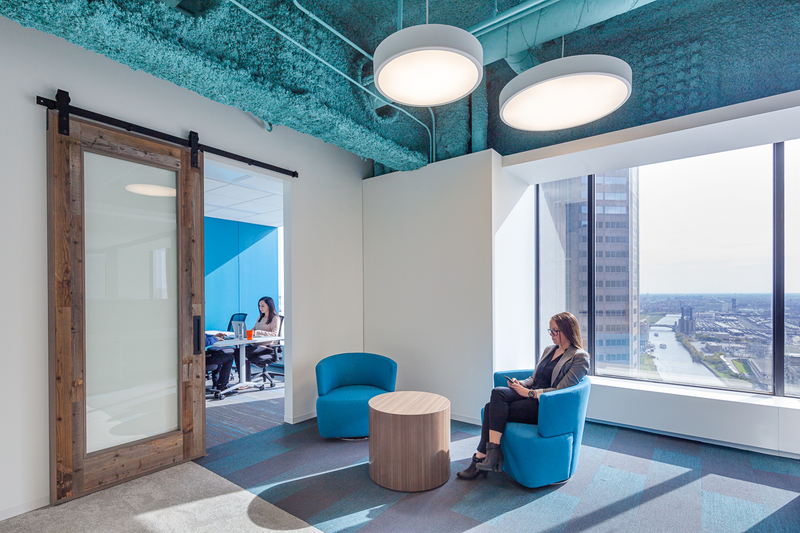 WHA helped lead their 14,600 SF corporate interiors relocation within Willis Tower, which prioritized potential growth and consistent brand experiences. 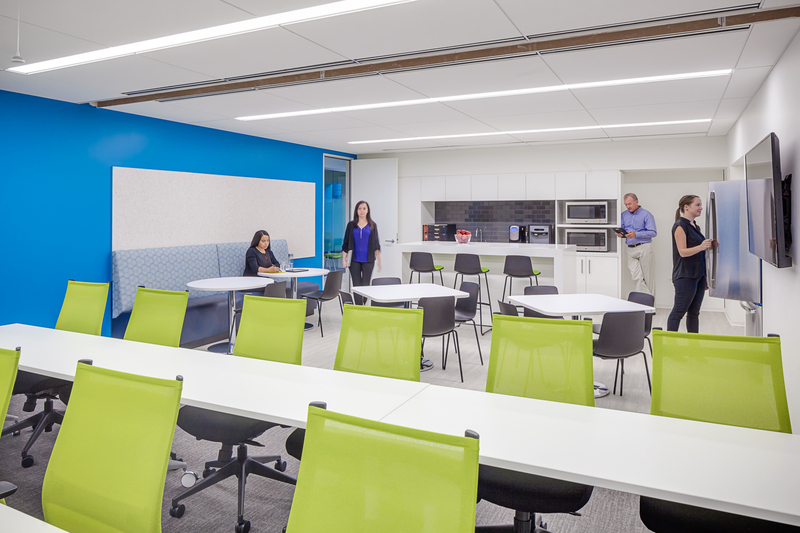 Wright Heerema Architects worked directly with comScore’s headquarters team in Reston, Virginia to lead this project, along with Builtech and MEP consultants to address acoustical concerns with the open ceiling design. 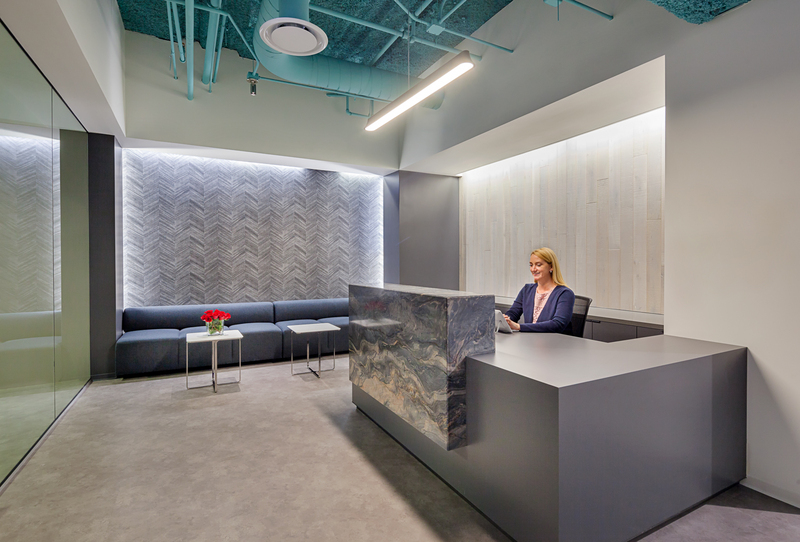 To support brand consistency, concrete and wood were incorporated in the Chicago reception area to match the same specifications as those used at company headquarters in Reston, Virginia. 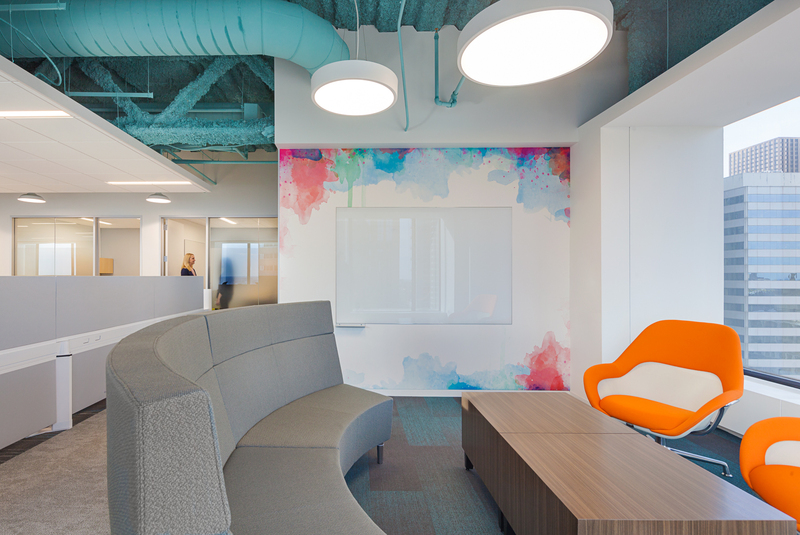 WHA incorporated comScore’s vibrant brand colors in the ceiling, furniture and walls, ensuring that clients and employees who step inside are immersed in the brand and inspired to think innovatively. Artwork of Buckingham Fountain and a city map were also included to evoke a local feel among team members. 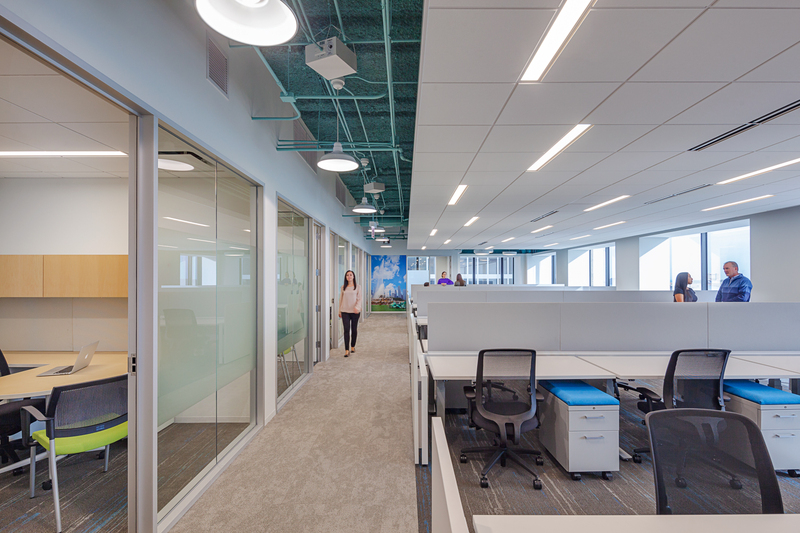 The new space allows comScore to continue growing its renowned global business in Chicago.